I’ve been trying to cut down on the ranting, but sometimes, I can’t help myself. Today, I present you with the worst gift ideas that I could dredge up from the bowels of the internet. This post contains NO affiliate links! Have you ever dreamed of winning the local Ugly Sweater contest? Are you OK paying $695 to do so? Do you enjoy dressing like a 4 year-old boy? Really Coach, $695? Maybe you could charge that if it was made out of real dinosaurs. It isn’t. The steep price isn’t stopping Coach from selling a load of them though. Celebrities are falling over themselves to buy this thing. For $79.95, you can enroll a loved (hated?) one in the Cheese Straw of the Month club. Mmmm mmmmm, the gift that keeps on giving. Except when it gives you constipation. I can’t make this stuff up. 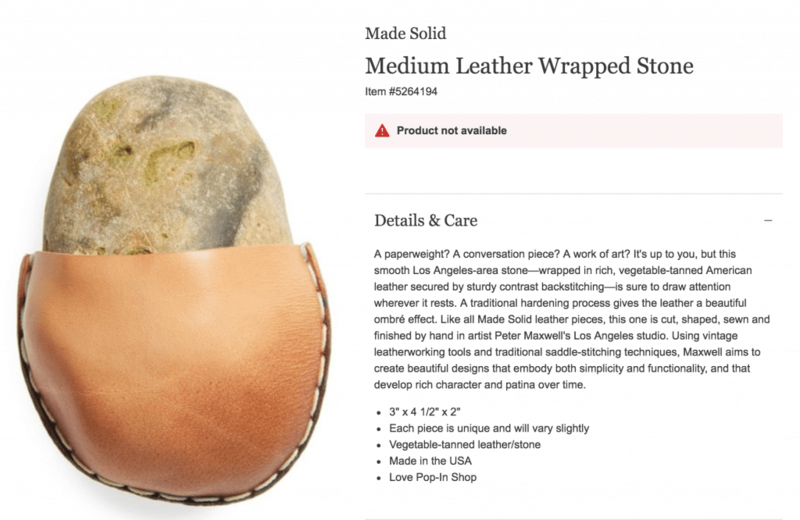 Nordstrom paid someone to gather rocks, put them in leather pockets, and then sold out of them. People actually bought these. And if $85 is too much for you, Nordstrom also has a $65 dollar version. And if $65 is too much for you, put on a jacket and step outside. There are free versions on the ground. I can’t stop laughing about that rock. Especially since it sold out! Haha that’s a hilarious list! I had cheese straws last week for the first time and must say they are pretty dang good! That may be a steep price for joining the club, but don’t hate ’em until you try ’em! I bought a sweater quite similar to the Rexy, but mine has a deer skeleton. $5 after Christmas at H & M. I saved $690, or over eight years worth of Cheese Straws! Stockbeard recently posted…Can you retire on 1.5 million? Please don’t buy Mr 1500’s recommended P….. leggings with all the money you’ve saved! I know you like to set the fashion world on fire and I’m concerned. So does that mean the pet rock thing from the 70s is making a revival? In all seriousness these items wouldn’t exist or be priced as such if not for people buying them. It really makes you wonder is advertising that effective or are some people just that dumb? The photo is unfortunate and I certainly wouldn’t want to be enrolled in a cheese-straw-of-the-month club. 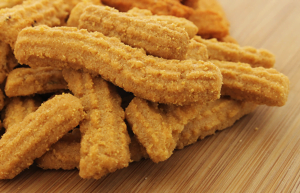 However, cheese straws are quite tasty. They are part of the traditional Southern food vernacular along with another baked favorite, the Benee wafer. Big at Kentucky Derby Parties or at a Savannah cocktail soirée, the cheese straw is the perfect balance for another Southern tradition, bourbon. Ooooh, bourbon and cheese straws! Perhaps I should reconsider my position! Here in Wisconsin, one of the doctors at Children’s Hospital of Wisconsin saw the Nordstrom rock and decided that he would send a rock to anyone who donated $85 to the MACC (Midwest Athletes Against Childhood Cancer) fund. Seems like a better deal than sending money to Nordstrom. You know, Mrs. BITA recently recommended an app idea called “Rockster” a Tinder style app where people that can’t keep plants alive can “swipe right” to find that perfect pet rock. 🙂 If $80 collard greens and rocks are selling out, I see a niche ready to be taken advantage of! Although, when I pitched it to colleagues as “Rockster” Tinder for geologists, it got WAY more traction and laughs. She could be on to something though if the pet rock is coming back en vogue. My reaction was similar, except it makes me wonder if the economy has entered the euphoria bubble phase, to be followed by the “I wouldn’t have thrown my money away on a rock from Nordstrom’s if I’d known a recession was coming” phase. I don’t have any trouble imagining, say, Coach charging $695 for a sweater – heck, given that being expensive is a key part of their branding, I could see them charging that for a sweatshirt! The thing is, it’s so ugly. I mean, how does this product not degrade their brand of fashion iconery? Clearly, I’m not fashionable – or icony – enough to understand. *Statement brought to you by scienceyness. I can’t believe people would spend money on any of this. 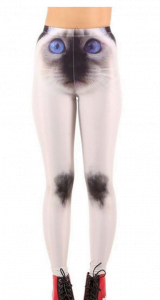 Although, those leggings are pretty funny, haha! Why are ugly sweaters the new trend?? I don’t get it. My wife tells me I’m supposed to wear one for Christmas this year but I don’t have any ugly sweaters (my wife might think otherwise). I’m sure as heck not buying an ugly sweater for $695. If it were $6.95…I might consider it but probably still wouldn’t do it. Why. Just why. To all of these. Oh my god. I’m in the marketing industry and sometimes I think marketing goes way too far. Especially with $700 sweaters and $85 rock pouches. This is too much. Oh my god. In other news, if you’re trying to do Christmas shopping this year, consider doing DIY gifts. I did half of my gifts DIY this year and we have saved soooo much money. Hehe, you jest about the ugly sweater. Most of the people buying that one aren’t celebrities! I guess that I hang out with the wrong crowd too much, but these purchases are quite typical of holiday purchases by middle class and upper middle class folks with less net worth than you! Think $500 mini menorahs at Bloomingdales. $1200 heels at Saks. You can tell by the stash of expensive department store bags that person has in the hallway closet! I don’t understand ugly sweaters either. They are supposed to be sweaters that people give you that are ugly and/or you don’t like. Now people actually go out and buy ugly sweaters? WTF? I was at the Christmas market a few weeks ago and saw a shop selling xmas ugly sweaters for like $50 and the slogan was “so ugly they are affordable.” Oh my, what’s wrong with people nowadays? We can only assume that “rocks” are the only thing they have between their ears. Thanks for this is super helpful gift guide! Now I know what to buy for all those hard to shop for people in my life. 😉 Hahaha. But, seriously, if we all want our share prices keep going up, we should applaud even these wacky attempts to get people to shell out their hard-earned cash. Hahaa thats quite a list. I had heard that ppl spend a good chunk of money on ugly sweaters, but the cheese straws and p**** pants are just ridiculous. Nordstrom marketing dept is a genius — if they pulled off selling a rock for $85! Lol….people will buy anything. How do I get in on this scam? About the only way they could’ve made that sweater worse was throw in some shoulder pads circa 1994. Gwen @ Fiery Millennials recently posted…What Do I Do After A Raise? Oh, Mr. 1500 you are so elitist! There are some of us that pay good money to live in steel cities with no rocks in sight. I can’t even think of the last time I had the misfortune of seeing nature. For that very reason, I’m sure many of my fellow city dwellers would be happy to pay $65 for such a smoothly polished specimen as the one Nordstrom has suggested. Glad you like my mantra! I actually like the sweater. If they moved the decimal place over two digits to the left, I’d for sure buy one. Awesome man! Once again, we see that consumer will buy anything. The price is ridiculous. I guess the higher the price, the more prestigious the POS is. Ridiculous..
It’s hard to believe that people would buy that crap. It was definitely good for a laugh though! Thanks Mr. 1500! Whenever I’m feeling down about my finances, I’ll just think of this list from now on. No matter how bad things get, I won’t have purchased any of this dumb stuff. If that sweater were much less, I would buy it. I love dinos too. So Mr. 1500 if you find a couple at the thrift store, think of me. Haha this was great. I don’t mind the rants it’s a nice change in the blogging world. Wow, anyone who would buy these gifts needs to get more creative with their life. Even if these prices are a drop in the bucket for someone, why would someone want any of these? I mean there are so many cool experiences you can have for these costs. Instead of the sweater, I’d rather sky dive a few times, or get a couple of flying lessons. Instead of a rock for $65, I’d rather take one of my favorite influencers out to a fancy breakfast or lunch and pick their brains for an hour. For $80 a month for processed crap, I’d rather support my local farmers market and co-op. Geez. At least the dinosaur sweater is cashmere. It’s not like they just used some cheap quality crap and put a high price on it. I wanted to thank you. You have saved me a bunch of money and a trip to the mall! I am going for a nice relaxing walk in the woods where I will pick up large rocks and wrap them up as Christmas gifts! My daughter found three large rocks the other day and placed them in her tortoise house. That rock idea could be a genius move by the website, I’ve seen it shown on several comedy websites during December which no doubt caused tons of people to click the link and visit the companies website.